Chief Thomas R. Ryan is a lifelong resident of Gloucester County (born in Woodbury, NJ). Chief Ryan was raised in Logan Township, graduated from Kingsway Regional High School. He then matriculated to LaSalle University in Philadelphia, PA. He graduated with a Bachelor’s Degree in Criminal Justice with dual minors in Political Science and Sociology. While at LaSalle University, Chief Ryan was a 4 year member of the University’s Football Team and recognized as a NCAA Division I-AA Scholar Athlete. 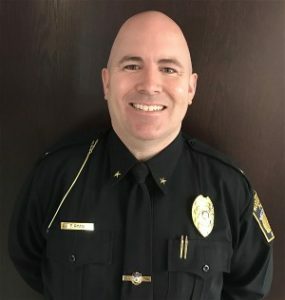 After graduation, he attended the Cape May County Policy Academy and worked the summer of 2002 for the Ocean City Police Department as a Class I SLEO. In December of 2002, Chief Ryan was hired by the Woodbury City Police Department as a full-time Patrol Officer. He attended the Camden County Police Academy, and graduated June 27, 2003. He then worked in the Patrol Division until 2005, when he was assigned to the Community Policing Unit. While in charge of the Community Policing Unit, Chief Ryan organized and planned several community events including National Night Out. In June of 2009, he was promoted to the Detective Bureau as an Investigator, to later be promoted to Detective in August of 2011. While in the Detective Bureau, Chief Ryan was also given the responsibility of being the Department’s Accreditation Manager. He successfully guided the Department, with the assistance of others, to have the Department become Re-Accredited on May 24, 2012. While in the Community Policing Unit and later in the Detective Bureau, Chief Ryan was able to go back to school and eventually earned his Master’s Degree in 2011 from St. Joseph’s University in Philadelphia, PA in Criminal Justice, with a concentration in Police Administration. In December of 2012, Chief Ryan was trained in Internal Affairs by the Division of Criminal Justice. In February of 2013, Chief Ryan was promoted to Detective Sergeant and placed in charge of the day-to-day operations of the Department’s Detective Bureau. Chief Ryan then began to take over as lead Internal Affairs Investigator for the Department, as Captain Timothy Sheehan retired during the summer of 2013. In March of 2014, Chief Ryan was promoted to the position of Captain of Police through a promotional process that involved all eligible Sergeants. Then after long time Chief – Reed Merinuk, announced his retirement after 17 years as chief (27 with the department), Chief Ryan was sworn in on August 11th, 2015. 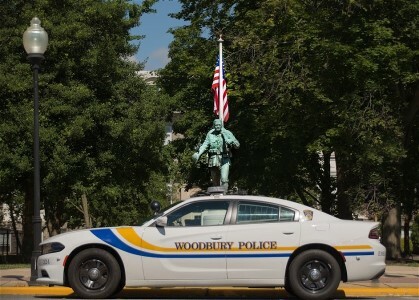 Chief Ryan is in charge of all day to day operations for the Woodbury City Police Department. That being said he is available via phone, email or in person to any citizen with a concern, complaint or question. This relationship and the ability to be as transparent and available to the public as possible, is one that Chief Ryan deeply values. He encourages all of his officers to be invested in the community in which they serve and to have a true passion and understanding for the position each of them hold. 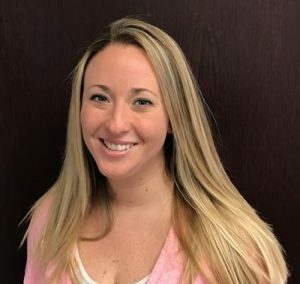 Kelli grew up in West Deptford Township and attended West Deptford High School and graduated in 2001. She began working at Woodbury Police Department as a Police Cadet in 2002. She completed her Associates Degree at Gloucester County College. She attended the Cape May County Police Academy in 2003 and became a Special 2 officer, working the summer season in Sea Isle City, NJ. Kelli was then hired back in Woodbury City as a Special 2 Officer and was hired full time in 2005. She worked in the Community Policing unit before being brought into the Detective Bureau in 2009. As a Detective, Kelli handled many complex investigations, including several narcotics operations, bank robberies and 3 successfully homicide investigations, while also being tasked with being in charge of all Megan’s Law Offenders. Her diligence led her to be later sworn in as Detective Sergeant. She has since been responsible in overseeing the Investigative Unit for the past 2 years, while also overseeing the School Resource Officer Program, Community Policing Unit and Cadet Program. While working full-time in the Detective Bureau she went back to school to earn both her Bachelor’s and then Master’s degree from the Fairleigh Dickinson University in 2012. Kelli was promoted to Detective Lieutenant in June of 2016 and was recently promoted to Captain of the Police in November of 2016. 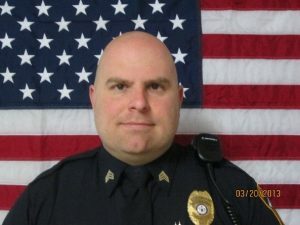 Bill Palese was hired by the Woodbury City Police Department as a Cadet in June of 1995, after being involved with the police departments Police Explorer Program as a kid. He was born and raised in Woodbury. He attended West End Elementary School and later graduated from Woodbury High School. He later continued his education at both Temple and Rowan Universities. During his service for the City he has served as a Cadet, Special Class II, Patrolmen, Investigator, Detective, Sergeant and Administrative Sergeant. In 2011 he was promoted to Sergeant where he was tasked to supervise daily police activities. During this time he continued to stay active as an Instructor and continued to train our officers and police academy recruits to properly deploy all major weapon systems used in Law Enforcement today. Bill remains focused on our officer’s safety and well being, while simultaneously helping to keep our streets as safe as they were when he grew up here. In June of 2016 Bill was sworn in as Patrol Lieutenant. As Lieutenant, he administers the scheduling, training, enforcement and daily activities of all members of the city’s patrol division. In addition, he serves as the agencies training officer and internal affairs officer. 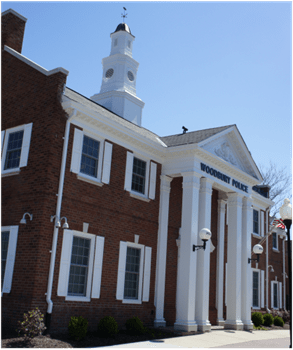 His passion to see that the Woodbury Police Department operates to its expectations is shared and supported by his family and all members of the Woodbury City Police Department.